Health Blog Could This be the Missing Link? Are You Struggling to Find Solutions to Your Health Problems? 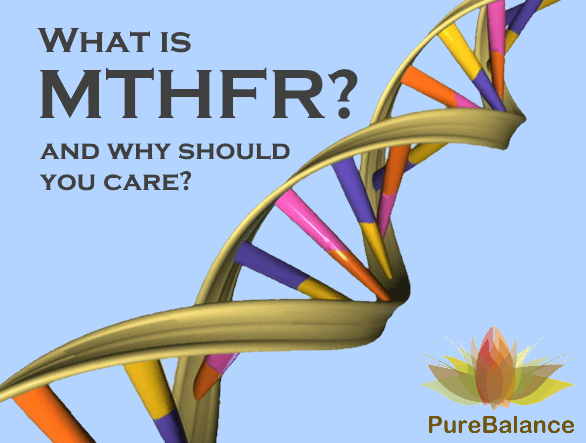 MTHFR is a gene that instructs the body in its production of a certain enzyme called methylenetetrahydrofolate reductase. When you eat food that contains folic acid (a form of vitamin B-9), MTHFR converts the folic acid into methyl-folate an active form of folate which optimizes an incredible number of important processes in your body. So, you ask, why do I care about MTHFR? There are mutations in this gene that have been identified that change the way you metabolize and convert nutrients in your diet. These mutations affect everyone differently, but research has shown an association between MTHFR and several health problems including ADHD, Autism, Autoimmune disease, Cardio Vascular disease, Chronic fatigue, IBS, and more. Migraines, hormone and thyroid problems have also been linked to MTHFR. In addition, MTHFR is also one of the many possible culprits for the development or progression of gallbladder, pancreatic, and liver diseases. Over 40% of the world’s population has some type of MTHFR gene mutation. There are natural treatments for MTHFR symptoms. A few healthy lifestyle changes and natural supplements can help support your body’s metabolic and methylation processes. At PureBalance Natural Family Health Center, we are devoted to helping you find solutions to your health concerns. Our patients can get a blood test done at our office to find out if they indeed have this mutation, providing valuable information to fine tune a HealthyYou plan. Find out more about MTHFR and the natural solutions available to you. Find your HealthyYou! Call us today at 224-521-1212 to schedule your blood test to find out if an MTHFR mutation is the missing link that is keeping you from feeling your optimal self!